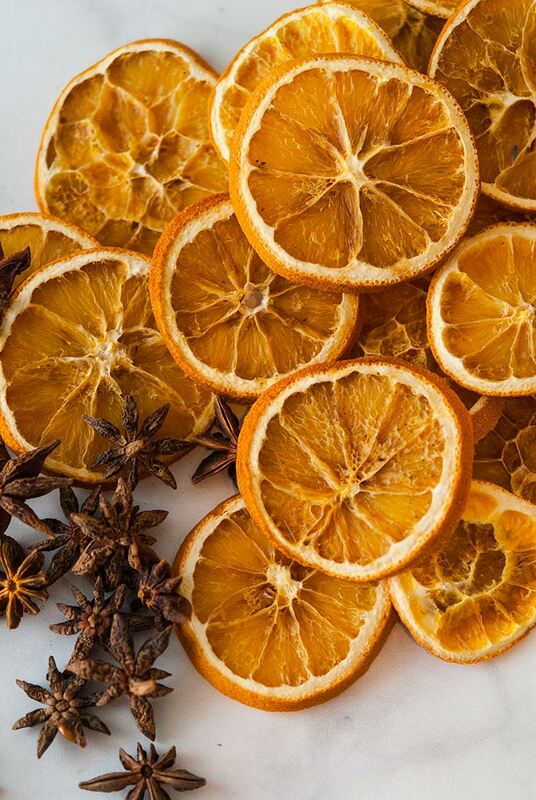 These dried orange slices with star anise make the prettiest, natural and fragrant DIY Christmas ornaments for your tree! They’re so simple to make and look like glowing, stained-glass windows! 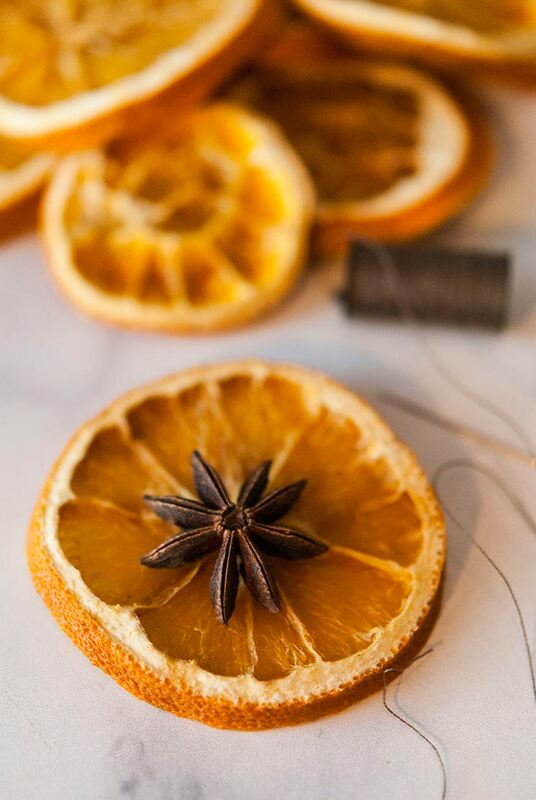 All you need is 5 oranges, star anise, a needle and thread and a few hours of your time. This year, I wanted my Christmas tree to be entirely decorated with natural ornaments. 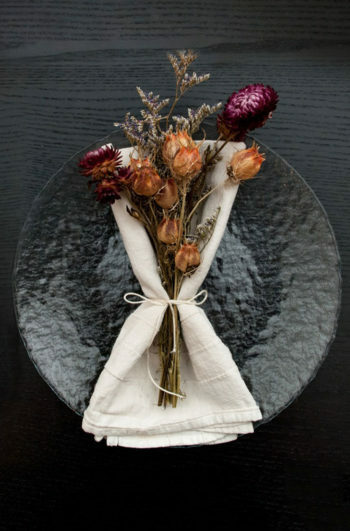 No plastic, no tinsel, just guilt-free, elegant, all natural prettiness (except for the lights, of course). 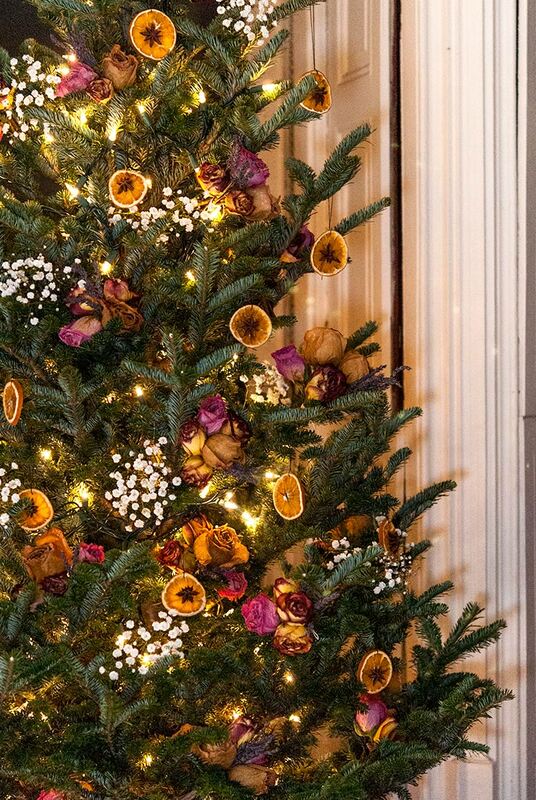 I used roses and lavender bunches, baby’s breath “snow” and these pretty little oranges, and it turned out to be the most colorful christmas tree I’ve ever seen! How do you dry the oranges? You’ll simply pop them in the oven at 120 F (48 C) for about 3 hours. 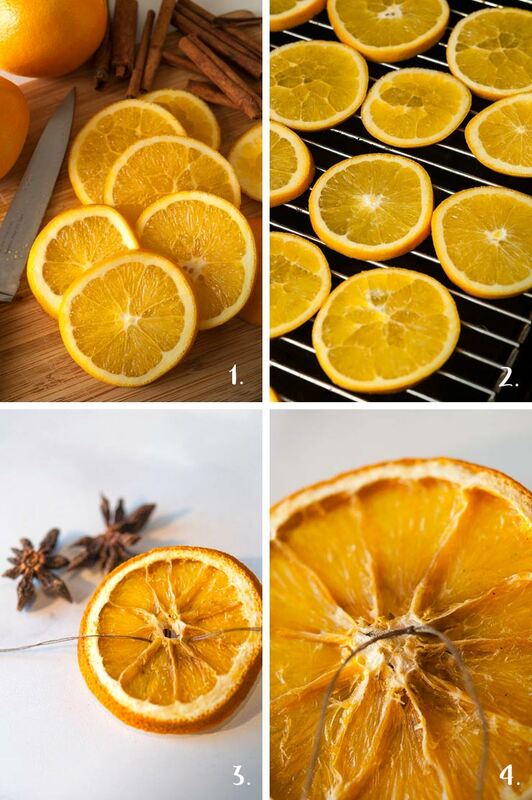 Depending on the thickness of your oranges, you may need to let them dry on that low temperature for a little longer. You’ll know they’re done when they’re only slightly bendable. If they’re not completely dry, don’t worry, they’ll continue to dry over the next few weeks on your tree. What kind of oranges should I use? 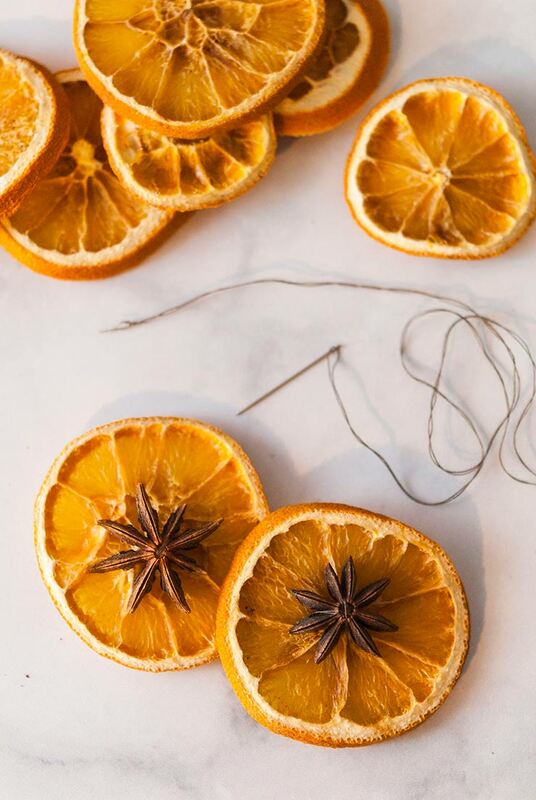 You can use just about any kind of orange – Valencia, blood orange, tangerine, clementine… you can even use other citrus like limes, lemons or grapefruits! The main thing you’ll want to look for is the thickness of skin. You don’t want to use citrus that has very thick skin, so go for the thinner skinned varieties. Nope! Once they’re dry, they’re dry and won’t mold. However, like all organic material, they’ll age and may not look as pretty next Christmas, so don’t bother packing them up with the rest of the ornaments. Make more next year! 1. Slice your oranges with a sharp knife about a half-centimeter to a centimeter thick. The thinner they are, the more transparent they’ll be, but make sure not to cut them too thinly. They’ll warp and curl if they’re thinner than a half-centimeter. 2. Place them on a baking pan on top of a grate so the heat can circulate around them, and place them in the oven. Bake them at 120 degrees for 3 hours. 3. 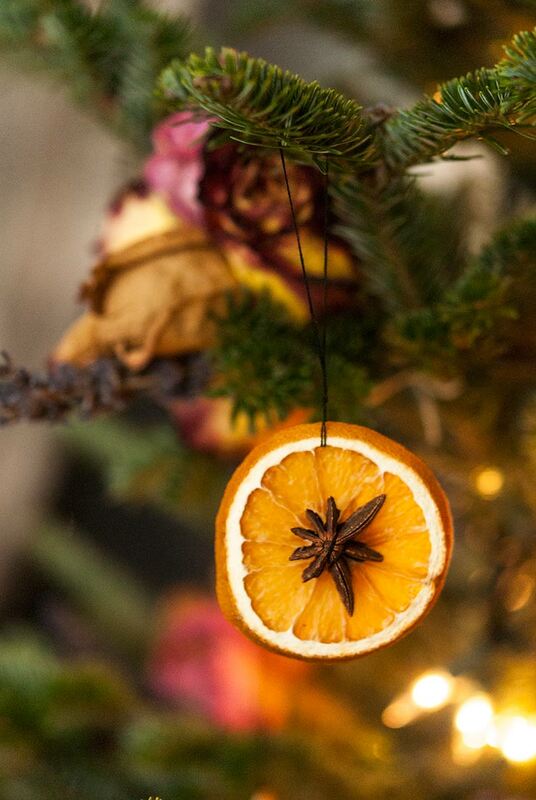 Once dry, place star anise in the center of the oranges and use a brown or dark thread to attach them. You only need about 2 stitches to secure them. 4. I find it’s best to thread through the orange, leaving a bit long so you can easily tie the thread in a knot once it’s secure. 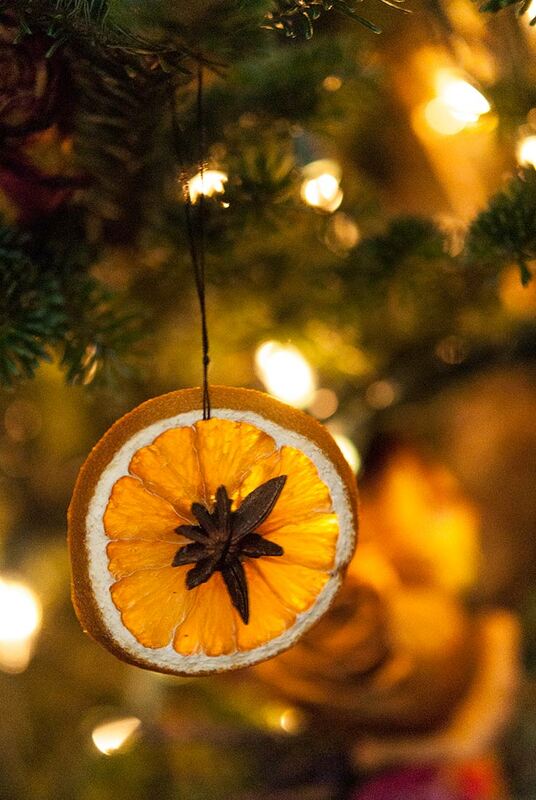 Simply sew through the top of each orange to create a string to hang it with, and place it on your tree. 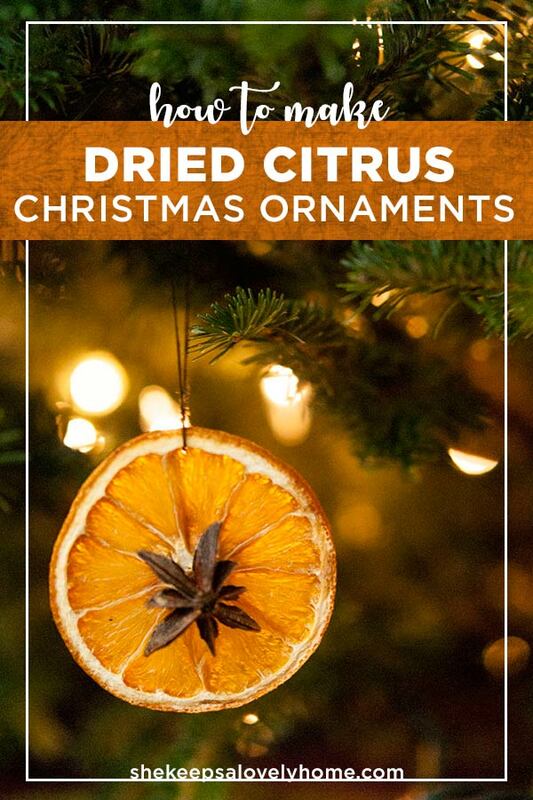 Enjoy your gorgeous, little citrus ornaments and Merry Christmas!